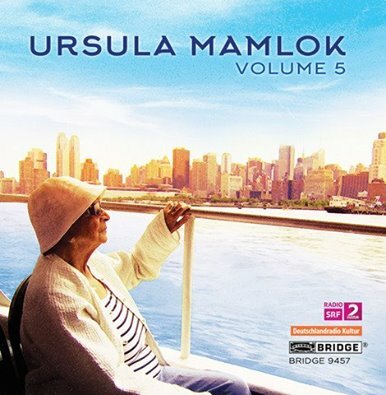 Bridge records reports the death this morning of Ursula Mamlok, at the age of 93. She had returned ten years ago to live in her birthplace, Berlin, which she fled after Kristallnacht in 1938. Ursula studied at Mannes with Georg Szell and Ralph Shapey and went on to teach at NYU, CUNY, Temple and Manhattan School of Music. Her output, moderately modernist, is for small chamber groups. Not quite right with the detail, Norman: Ursula moved back to live in Berlin in 2006 – a not insignificant thing to have done so late in life and after so many years in New York – so she wasn’t on a visit. She was a very remarkable person indeed, made an extraordinary contribution to the world of music, and will be very much missed. She had lived in Berlin for the last ten years.